The Loving Shepherd Early Learning Center staff proudly displaying the Exemplary School banner. 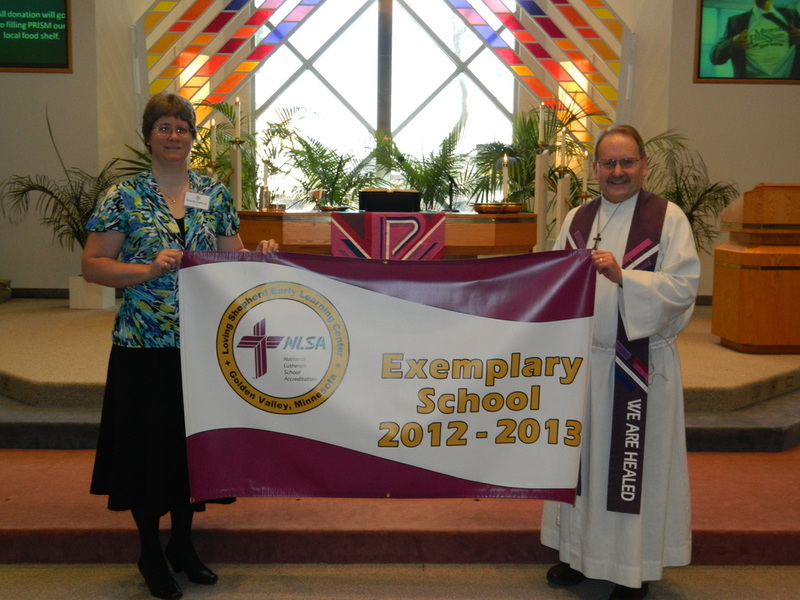 Brenda Lovhaug, Loving Shepherd Early Learning Center Director, and Pastor Rex Rinne proudly display the Exemplary School banner. Our newest Exemplary School is Loving Shepherd Early Learning Center in Golden Valley, MN. Special congratulations go to BRENDA LOVHAUG, Director of LSELC! Making all this happen, in addition to Brenda, are the staffs of both LSELC and Golden Valley Lutheran Church, as well as a very supportive congregation and families who use the Center. LSELC is the first early learning center in Minnesota to receive this distinction, and is only the second early learning center in the entire LCMS system to receive this designation. Learn more about Loving Shepherd Early Learning Center at their website. At right you can read the publication that was put together by Loving Shepherd Early Learning Center last fall for a synodical publication. Trinity Lutheran School - Waconia was awarded Exemplary Status by the National Lutheran School Accreditation one year ago and is this year celebrating that status! 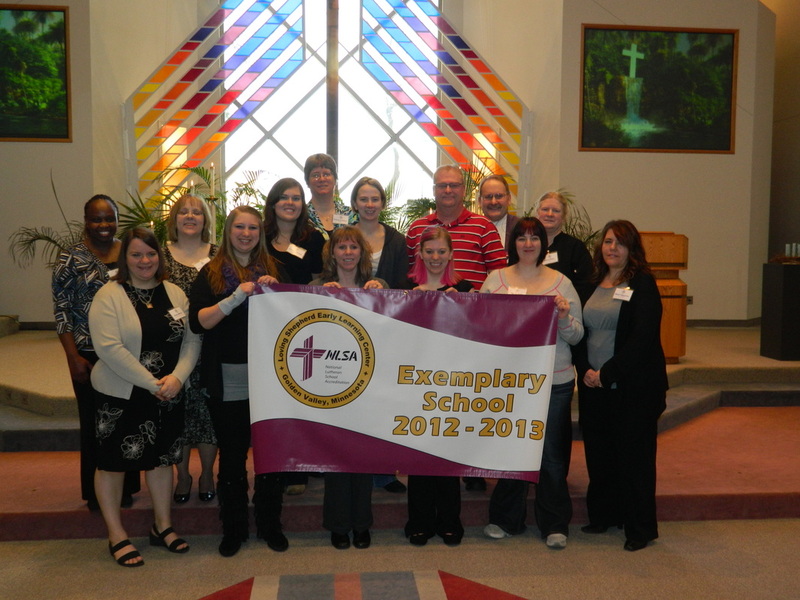 Trinity Lutheran School - Waconia was the first school in the Minnesota South District to be awarded Exemplary Status in connection with their NLSA accreditation process in the spring-summer of 2010. Congratulations go out to RANDY ASH, principal at Trinity, and the entire staff of both church and school. Learn more about Trinity - Waconia at their website.